Talkin’ turkey! 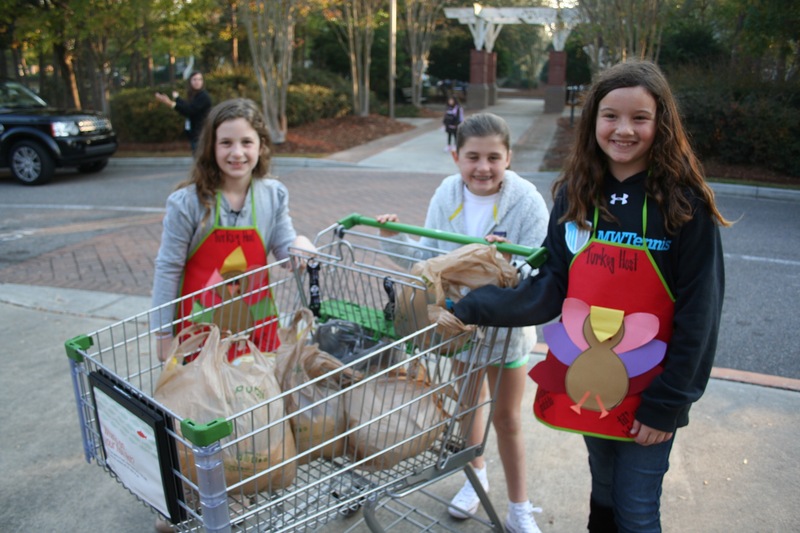 Members of the DIS Community Crusaders Club were all smiles during their recent Frozen Turkey Drive at the school. Pictured left to right (clockwise) are Emma Ladd, Gracie Graue, Caroline D’Aguiar, and Charlotte Praete. 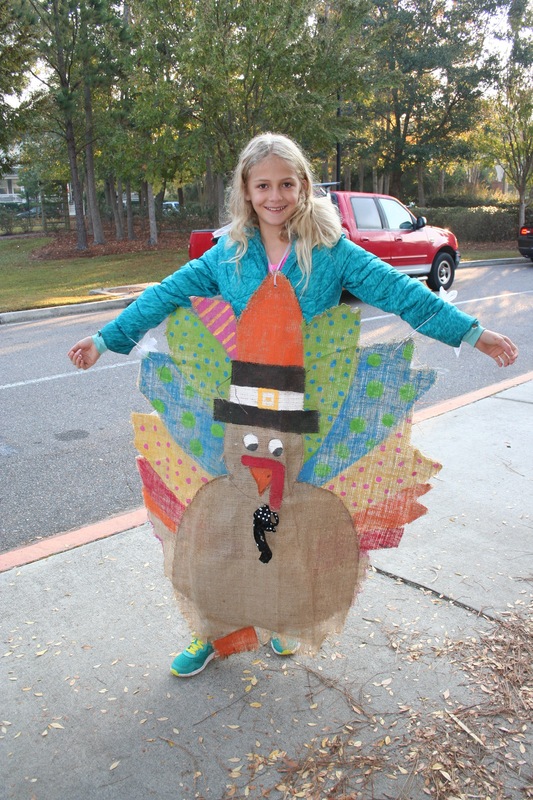 Emma Ladd proudly displays her “Turkey Host” apron. 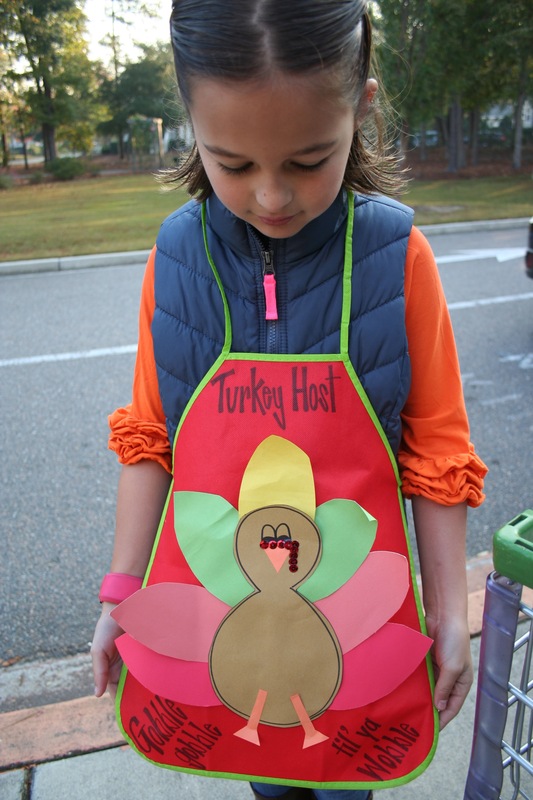 “Gobble, gobble…til ya wobble!” That was the festive message displayed on aprons worn by members of the Community Crusaders Club at Daniel Island School last week - as they took part in the school’s Annual Frozen Turkey Drive. 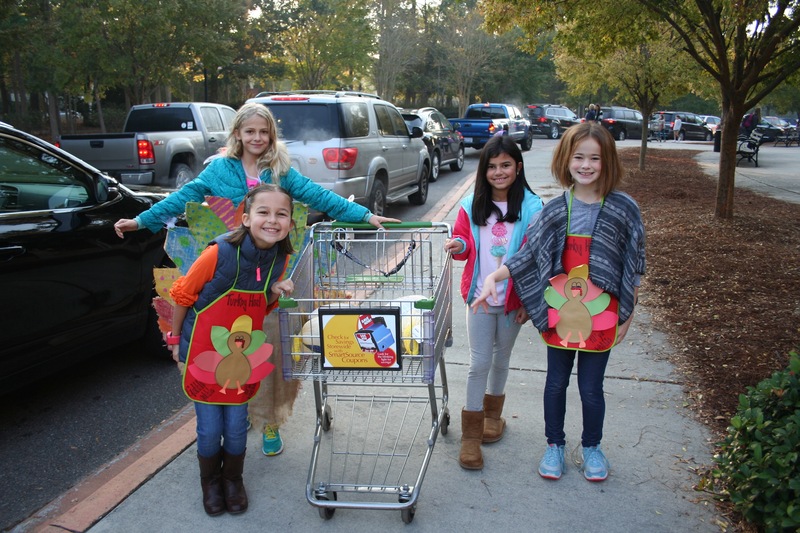 Pushing grocery carts along the sidewalk in front of the school, the third through fifth grade students collected more than 50 donated turkeys from drivers in the morning carpool line. The turkeys will be distributed, along with donated canned goods, to various organizations in the Charleston community such as Windward Farm Home, Summit Place, DSS Adult Protective Services, and East Cooper Community Outreach. According to DIS fourth grade teacher Candice Martell, the Community Crusaders Club was established to create a positive change in the lives of students and the community.